D'Silva is one of four researchers across the US whose research is being funded by 2017 SOAR grants. 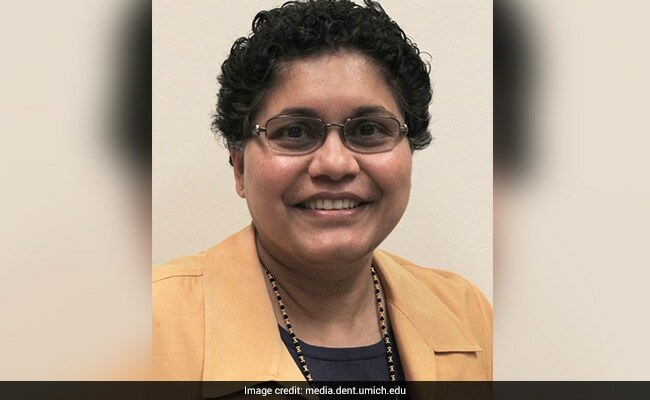 WASHINGTON: An Indian-origin scientist in the US has been awarded a USD 8.1 million grant to support her research on lethal head and neck cancer, which could help improve the survival rates of patients. Nisha D'Silva received the prestigious Sustaining Outstanding Achievement in Research award, or SOAR, for her continuing research into the molecular pathways that control the spread and recurrence of head and neck cancer. The ultimate goal of the research by Dr D'Silva, clinician- scientist at the University of Michigan (U-M) in the US, is to improve the survival rates of patients with this particularly lethal form of cancer. Her findings may enable clinicians to identify patients who will best respond to existing treatments, and might lead to new treatment strategies. Dr D'Silva's grant from the National Institute of Dental and Craniofacial Research (NIDCR) will be disbursed over eight years. "It is truly exciting news that a clinician and scientist as accomplished as Dr D'Silva will now have extended funding to allow her to focus on finding answers to some of the toughest cancer questions we have," said Laurie McCauley, dean of the School of Dentistry at U-M.
"The prestigious SOAR grant speaks volumes about how the NIDCR views Dr D'Silva's research track record and her potential moving forward," said McCauley. Dr D'Silva noted that head and neck cancer is the sixth-most common cancer in the world with about 600,000 new cases per year. Nearly half of all patients die within five years of diagnosis, she said. "The focus of our research programme is invasion because this is a defining feature of head and neck cancer," said Dr D'Silva, also a professor of pathology at the U-M Medical School. "Invasion is important for spread of head and neck cancer, but unfortunately there are no strategies that effectively target invasion. This knowledge gap is due to limited progress in identifying and understanding the underlying mechanisms that control invasion," she said. Dr D'Silva is one of four researchers across the US whose research is being funded by 2017 SOAR grants, according to information NIDCR. SOAR provides long-term support for NIDCR-funded investigators who are in mid-career and have outstanding records of research productivity, mentorship and professional service to the research community. "This award provides a longer base of grant support, allowing investigators to have more freedom to perform high-risk, high-reward research that has the potential to break new ground or expand previous discoveries in new directions," according to NIDCR.